ikillyou121 has started a donation pool! Hey DeviantArt people, I'm Josh. I'm a brony (in case the ponies didn't give that away) who lives in the UK. 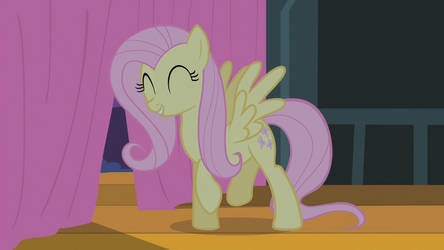 And as a hobby, I enjoy vectoring ponies and putting them on here. So basically, what I do on here is experiment with different ways of editing vectors to look more realistic (adding shading and other effects) pictures while trying to keep to the show-style of MLP FiM. I rarely draw things that aren't traced vectors since I'm very bad with proportions and can't freehand to save my life. 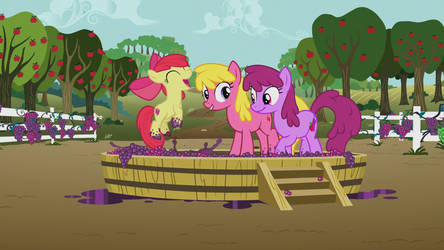 As you can probably tell, I'm also a vector artist that creates vectors of MLP FiM ponies and backgrounds. "But vectoring is just tracing. All your gallery might as well be stolen from MLP FiM"
I create vectors of ponies for other people to use as resources in their own projects. Whether they're using a lineart/base to colour in or using a background to add that next bit of dimension to their art. Some people consider vectoring ponies to a show-accurate degree (which I still can't consistently do) is difficult, but it's something that you can't go wrong with once you have some experience with it. I don't consider myself to be talented but I just make vectors purely as a hobby so that other people can use them. How long have you been on DeviantArt? I joined about 5 years ago. What is your favourite type of art to create? I guess anything I can look back at and enjoy without feeling the need to criticize my own art. If you could instantly master a different art style, what would it be? I would probably just like to get better at using different brushes and brush strokes with the use of a tablet. Just being able to freehand draw without the difficulty it causes me would be nice though. What was your first favourite? This comic. What type of art do you tend to favourite the most? I'm kind of awkward when it comes to favourites. I either like something enough to favourite it or I don't. If you could meet anyone on DeviantArt in person, who would it be? I would probably love to meet since she's the inspiration who created the series of MLP known as Friendship is Magic which spawned all of my art on here. How has a fellow deviant impacted your life? I don't really think someone has. I guess gave me a little of a wider insight on life a while ago in the mlpforums chat room. What are your preferred tools to create art? I just use a laptop so a touchpad is all I need. What is the most inspirational place for you to create art? I tend to find my inspiration, or my motivation rather is fueled by music. Different genres tend to put me into different moods which can affect if I want to make vectors or not. Why you don't upload videos on your YT channel anymore? I dunno. I just got kinda bored with it. Getting a few videos removed and receiving strikes on there was pretty much what made me decide to stop putting time into the channel. That, and I kinda lost interest in mlp so I wasn't watching any of the newer episodes to know what clips to upload. Can I use 1 of your Lyra vectors so I can print it and recolor it 4 an OC? I'll credit U.